How do films work? How do they tell a story? How do they move us and make us think? Through detailed examinations of passages from classic films, Marilyn Fabe supplies the analytic tools and background in film history and theory to enable us to see more in every film we watch. Ranging from D. W. Griffith's The Birth of a Nation to James Cameron’s Avatar, and ending with an epilogue on digital media, Closely Watched Films focuses on exemplary works of fourteen film directors whose careers together span the history of the narrative film. 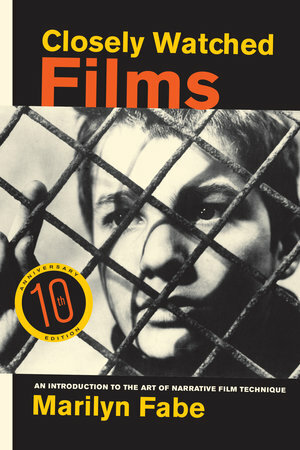 Lively and down-to-earth, this concise introduction provides a broad, complete, and yet specific picture of visual narrative techniques that will increase readers' excitement about and knowledge of the possibilities of the film medium. Shot-by-shot analyses of short passages from each film ground theory in concrete examples. Fabe includes original and well-informed discussions of Soviet montage, realism and expressionism in film form, classical and modern sound theory, the classic Hollywood film, Italian neorealism, the French New Wave, auteur theory, modernism and postmodernism in film, political cinema, feminist film theory and practice, and narrative experiments in new digital media. Encompassing the earliest silent films as well as those that exploit the most recent technological innovations, this book gives us the particulars of how film—arguably the most influential of contemporary forms of representation—constitutes our pleasure, influences our thoughts, and informs our daily reality. Updated to include a discussion of 3-D and advanced special effects, this tenth anniversary edition is an essential film studies text for students and professors alike. Marilyn Fabe is Senior Lecturer in the Department of Film and Media at the University of California, Berkeley.